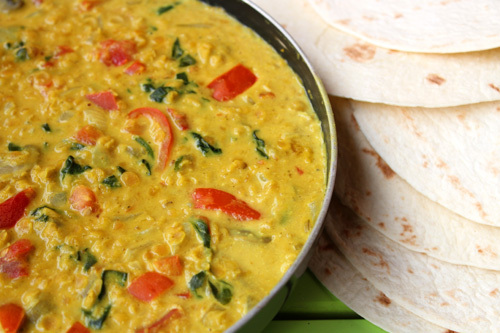 I’ve been reading Sharon’s Bit of the Good Stuff blog for several years and always enjoyed the practical guidance and recipes that have helped me to follow a plant-based diet. 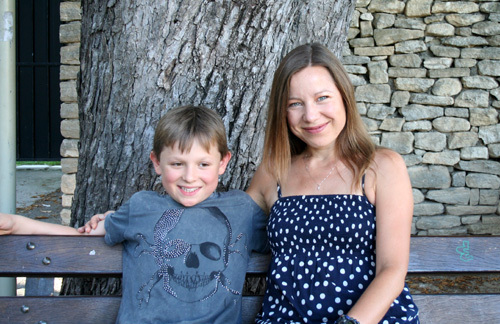 Sharon’s blog is an inspiration, demonstrating that following a vegan diet isn’t difficult and this movement grows, it gets easier and easier to eat in this way. Once you’re in a routine, eating day-to-day is easy. We all have our tried and tested mealtime favourites. We know where we can go for vegan-friendly lunches and snacks. I’ve found it more challenging when I step outside of this routine, perhaps working away from home or visiting new places. However, with a little extra thought and preparation, it’s not hard to overcome any potential difficulties and continue to eat healthy, plant-based food wherever you are. 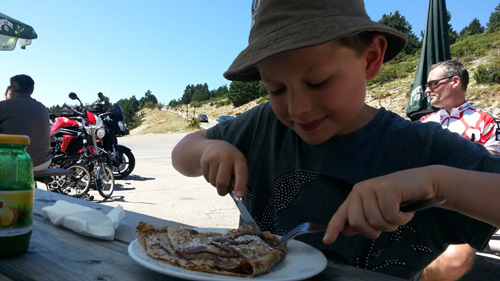 Last month, we strapped 3 mountain bikes to the top of the car, headed through the Eurotunnel and made our way to South West France for our summer vacation. 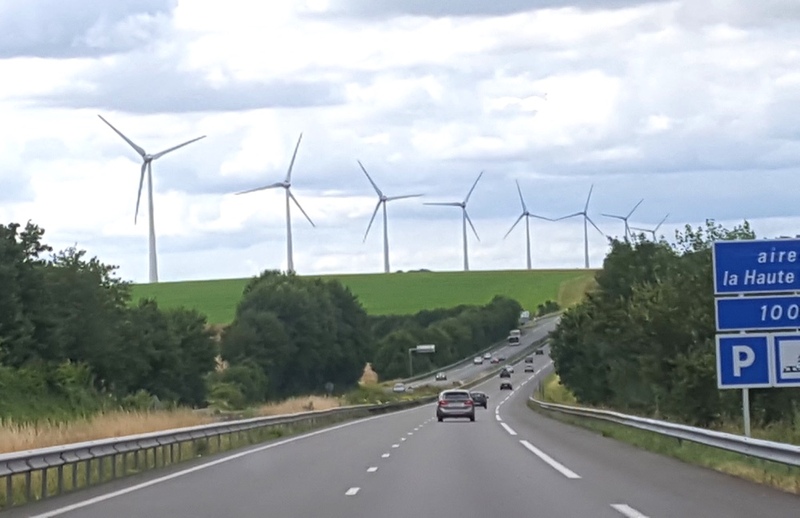 It’s the furthest south that we’ve ever travelled by car and we split the journey over two days, with a stopover at Orléans. 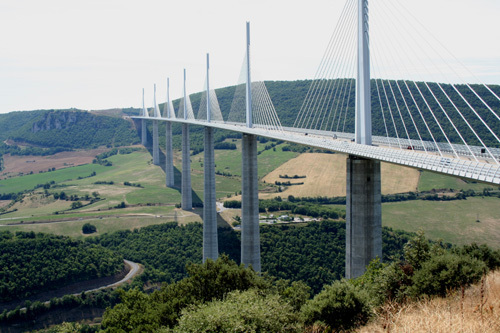 The next morning, we continued our journey which took us over the spectacular Millau Viaduct, the tallest bridge in the world! We hired an apartment just outside Pezanas, a beautiful historic town with lots of charm and atmosphere. 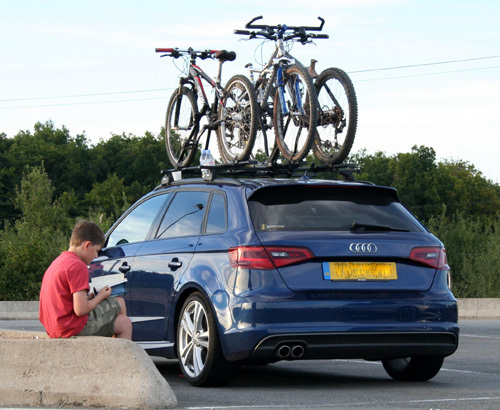 During the school summer break, we strapped three bikes to the roof of our car and headed across on the Eurotunnel to France. 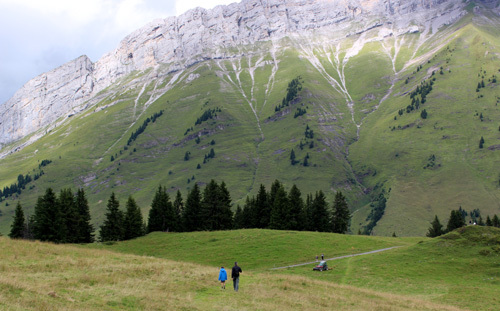 Our destination – the beautiful French Alps. 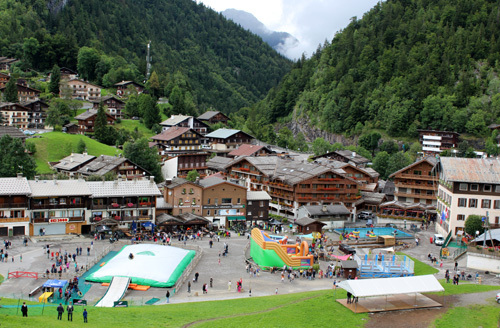 La Clusaz, a short drive away from our hire chalet, soon became our favourite place to hang out. It’s a great family-friendly place, with so many activities going on that I felt like I’d landed in a scene from Where’s Wally! 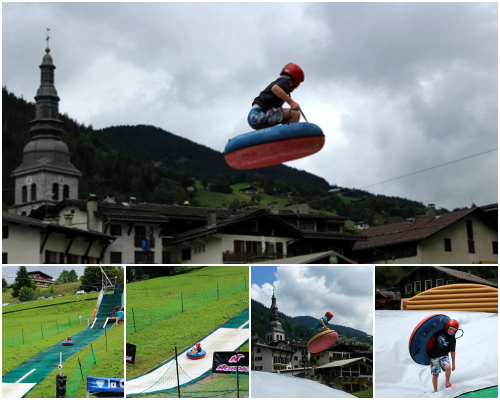 The village was filled with activities for all ages – inflatables for the small kids, summer luge, zip wires and a big air bag for the older kids, as well as an ice rink and swimming pool. 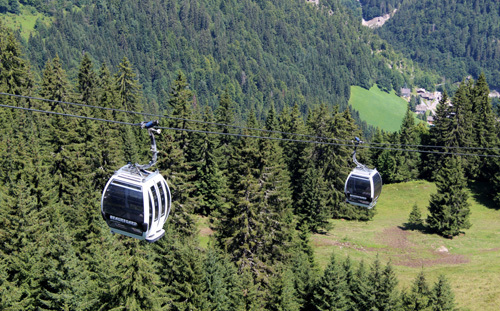 From La Clusaz, you can take cable cars up into the mountains for hikes, cross country biking and downhilling. The weather wasn’t the best, but we made sure to make the most of the sun when it came out. For the first time ever, it was me that was left trailing behind on the bike rides! 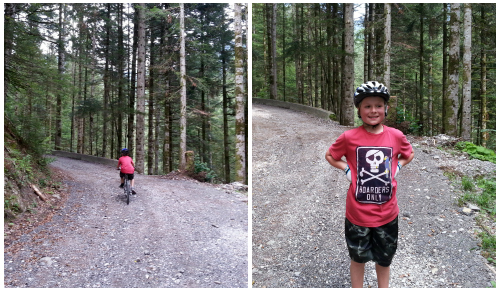 It’s incredible how much Lil’ L has improved at hill climbing in the past year. 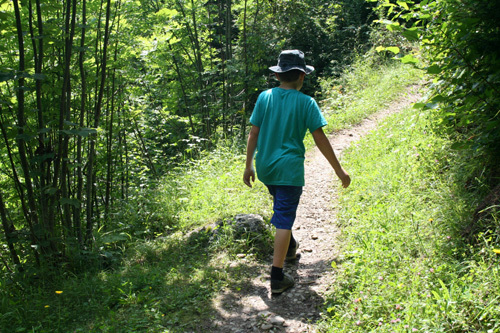 Last year, I was the one waiting at the top of hills as M patiently coached him up the hill. Now, he flies up the hills and stands waiting for me! I’m seriously going to have to up my game as I don’t want to be ‘slow mum’. That’s just not cool! 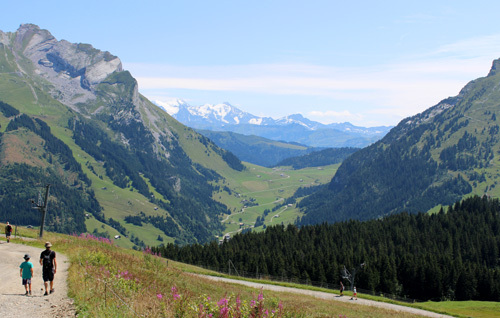 As well as hiking and biking, I loved running in the stunning countryside surrounding our chalet. After climbing up and down hills for three weeks, my body’s definitely stronger and more toned. I’d love to keep it that way! 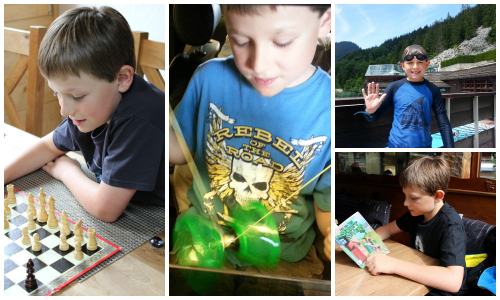 Other activities that Lil’ L loved this holiday included swimming, reading, playing chess and Diablo. He’d been patiently waiting for a new Diablo for weeks so, when we finally gave it to him at the Eurotunnel terminal, he couldn’t wait to get started. 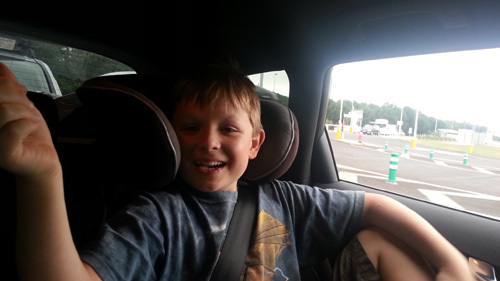 He even managed to spin it in the car! 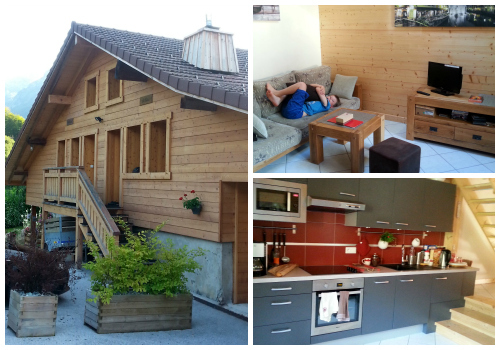 We were really pleased with our hire chalet, which was spacious, modern and came with a fully-equipped kitchen. When in France (with the exception of Paris), we always prepare our own meals. 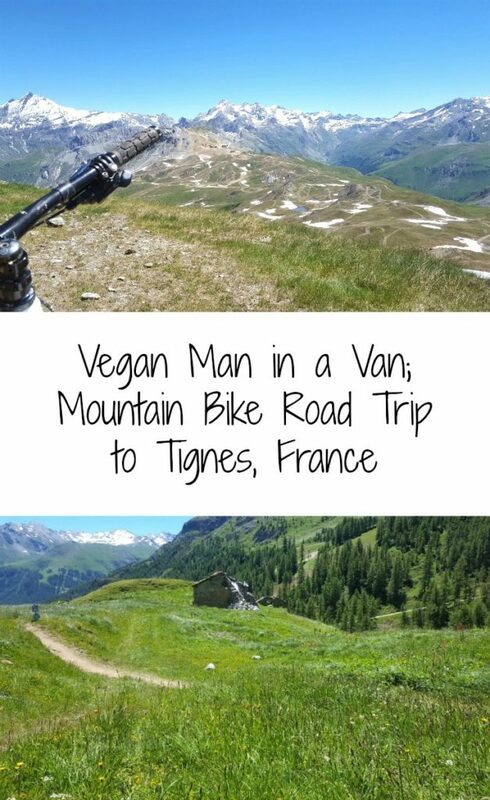 Not only does it save us a small fortune, but it can be difficult to find vegan-friendly eateries, especially in this area of the Alps (aka ‘Cheeseland’!). In fact, I didn’t see a single vegan option on the menus I looked at. No matter though, as I was more than happy to cook, especially as M was around to help out. Back home, I’m usually in the kitchen on my own, so it was lovely to have some company! Since we were travelling by car, I took a few supplies from home that would either be hard to come by (like nooch and nettle tea) or a lot more expensive in France (like big packs of almonds and cashews). I also took some herbs and spices to save having to buy more. 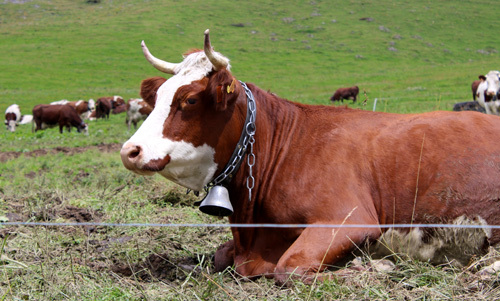 Fortunately, non dairy milks and yogurts are readily available in the French supermarkets. The Bjorg brand has lots of vegan-friendly products, including delicious mushroom and aubergine pates. We found them on the ‘Bio’ (organic) aisle, along with the milks and tofu. 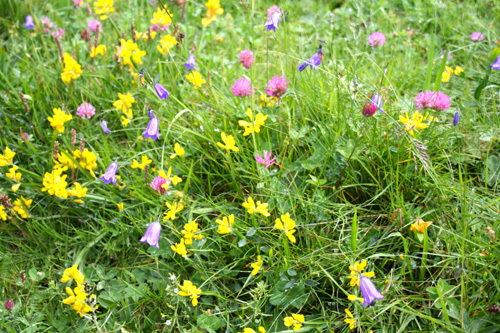 Bjorg tofu is different to the tofu you find in the UK, as it’s UHT and doesn’t need pressing. It’s chewier than our regular tofu, but I find it works well when diced into small cubes and cooked in sauces. The one thing that always catches me out in France though is the hummus – for some unknown reason, most of the brands contain cheese! All the meals we made were simple and quick to prepare. 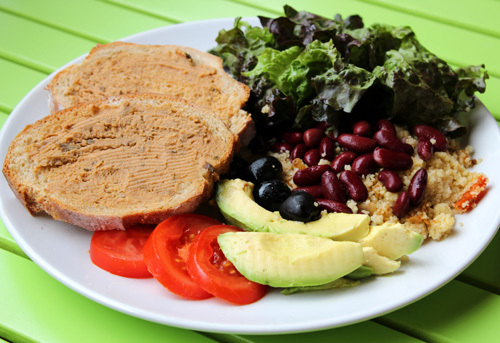 For lunch, we loved big colourful salad plates, beans on toast (we found Heinz baked beans on the world food aisle! ), or baguettes filled with stir-fried veg. 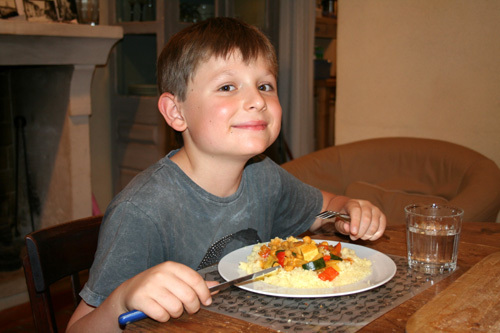 For our main meals, we enjoyed pasta, curries, fajitas, French bread pizzas, stir-fries and couscous dishes. 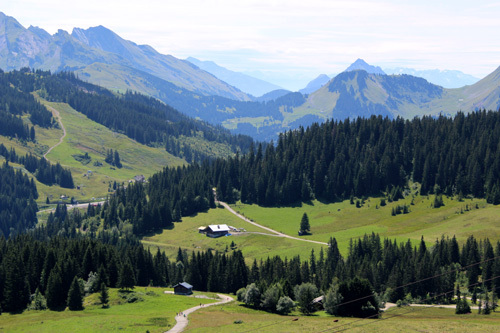 Did you manage to get away on vacation or for day trips? 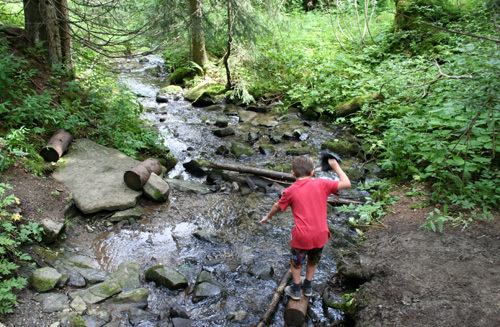 What was the highlight of the summer for you? 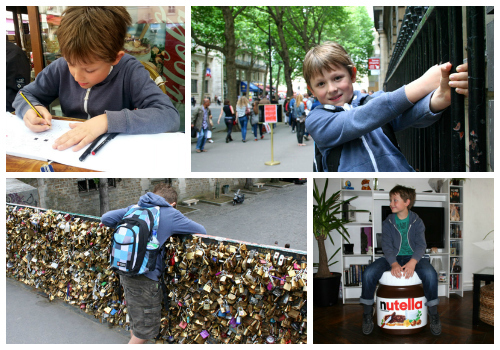 During May half term, we headed off on the Eurostar to spend a few days in Paris. Our buddies are living there for a year, so it was wonderful to see them and share in their amazing adventure! 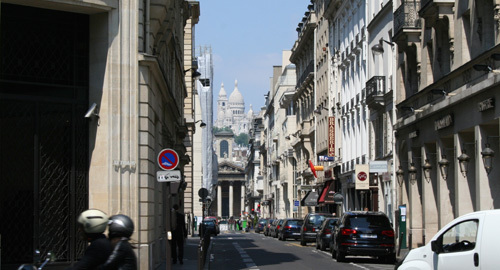 We stayed at their fab apartment in Issy for two nights, then moved to the heart of the city and spent two nights in Montmartre. Most of my visits to Paris have been in Autumn/Fall, so I’d forgotten just how busy the city can be during the summer months. 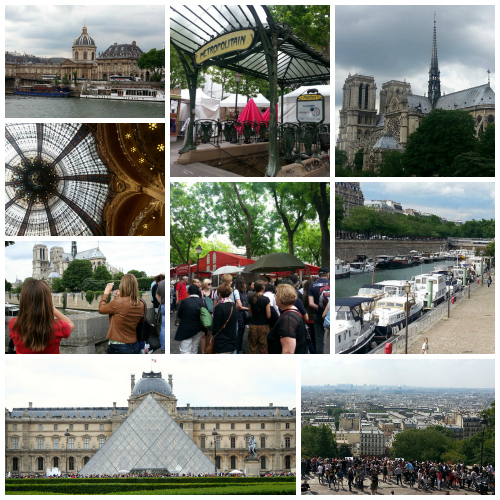 After quick stops at the tourist hotspots (which were heaving with people), we took up our favourite activity which is to simply wander the streets (or “flâner” as I think they say in French). 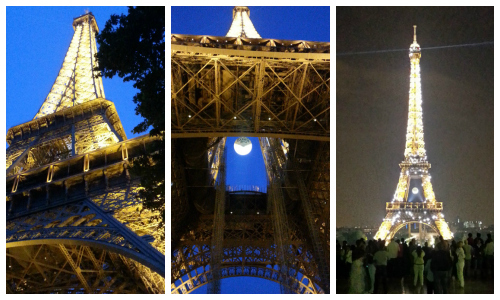 For me, this is the best way to truly experience Paris. 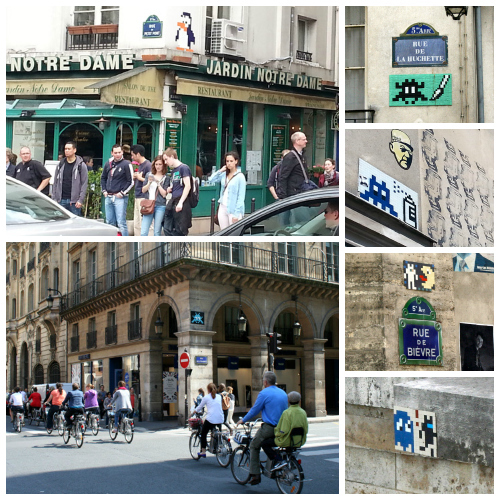 As well as soaking up the Parisian atmosphere and admiring the stunning architecture, we had lots of fun spotting street art by the infamous French Invader. 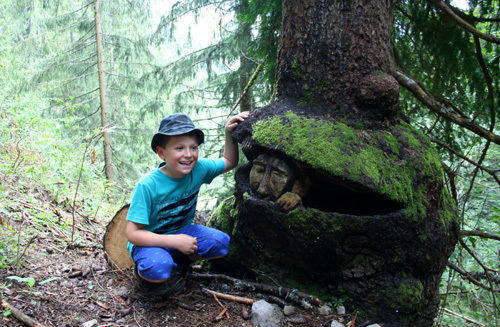 Apparently, there are over 1000 pieces of his art in Paris alone! 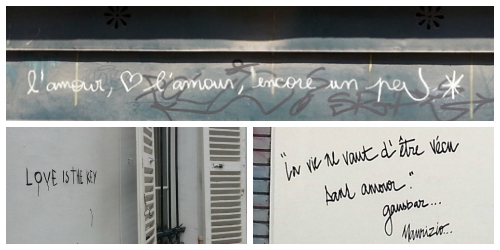 I also loved spotting all the love graffiti that’s sprinkled across the city. I wish all graffiti had this sentiment! 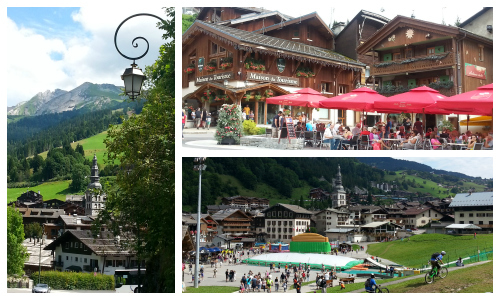 We made sure to balance the walking and sightseeing with plenty of chill-out time at cafés, parks and the apartments. 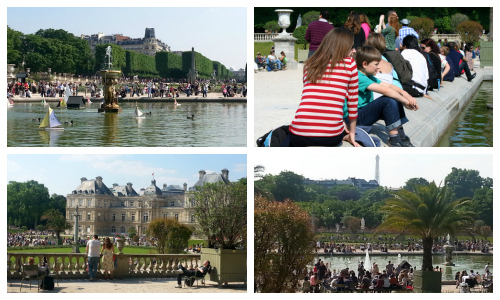 If the sun’s out, Jardin du Luxembourg is a great place to spend an afternoon. I loved watching the sailboats gliding across the pond. Very relaxing indeed! And of course, we spent a fair amount of time eating too 😉 I was amazed at the amount of veggie options that are now available in Paris, catering for all kinds of dietary choices from raw, macrobiotic, gluten-free through to hamburger joints and fast food. There are also ‘Bio’ (organic) supermarkets where you can stock up on health foods. If you’re planning a visit to Paris, I highly recommend checking out the restaurant reviews on HappyCow and Trip Advisor. We tried a few places (including M.O.B. vegan burger joint and Pousse Pousse), but there were two clear favourites. 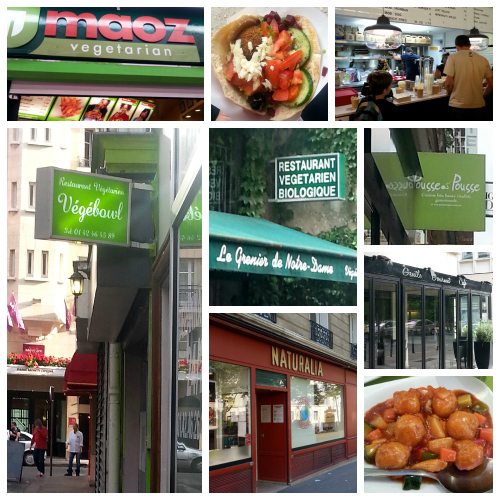 For a quick lunch option, we loved Maoz Vegetarien near Notre Dame, which serves falafels stuffed in pittas to which you add salad and dressings from the self service bar. There was a great selection of salad options, including yummy beetroot and cumin-spiced carrots. In the evening, we enjoyed a visit to Vegebowl which serves Asian cuisine. We arrived as it opened and the place quickly filled up (always a good sign!) 90% of the dishes are vegan and those including dairy are clearly marked. 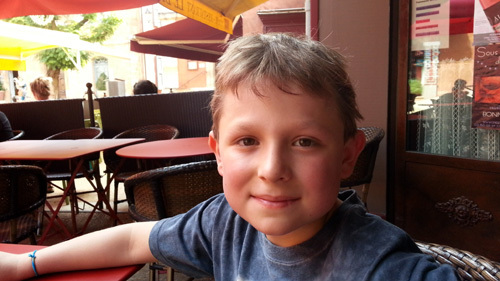 A 3 course meal cost 12 euros, which is cheap for Paris. The dishes are named after their meat counterparts (which me and Lil’ L found a bit creepy) but the ‘meat’ was essentially tofu. We tried a whole range of dishes and all bar one (the Lemon “Chicken”) were really tasty. We especially loved the Basil Stir Fried Tofu, ‘Cashew “Chicken”’ and ‘Sweet and Sour “Pork” balls’. After reading Vegan Miam’s review of the Gentle Gourmet Café, I’d really wanted to check out their vegan French desserts. Unfortunately, the two occasions we happened to be nearby it was mid-afternoon and the café was closed. Next time! 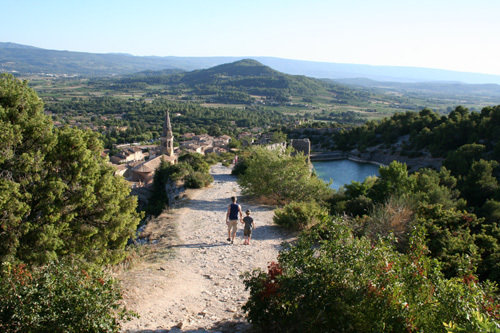 Last month, we were lucky enough to visit the beautiful region of Provence in France. 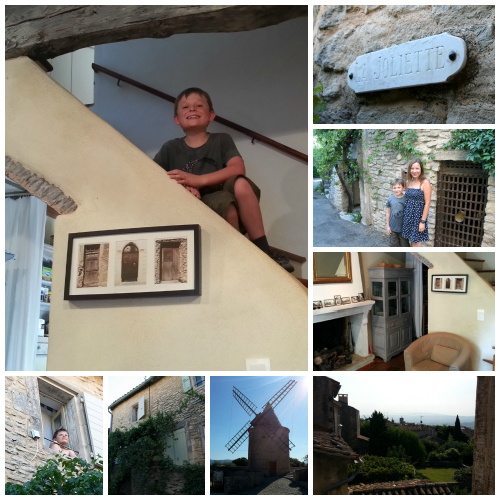 We travelled by car, stopped overnight in Fontainebleau, then headed to the historical village of Goult, which was to be our home for two weeks. We stayed in a sweet little cottage, which we rented from Eva, a very kind and welcoming Swedish lady that had lived in Provence for many years. The cottage had everything we needed for a comfortable stay, including a fully equipped kitchen. Whenever we stay in France, we tend to prepare our own meals. It’s way cheaper (we would easily have spent £60 per day if we’d eaten out), plus I’ve found it near-on impossible to find vegan cuisine outside the big towns and cities. All the meals we prepared were quick and easy. For lunch, we’d have big plates of salad and crudites, served with freshly baked ‘6 cereales’ bread. We also found Heinz baked beans on the ‘International’ aisle of the hypermarche, which made a tasty quick lunch served on toast. For evening meals, I’d stir fry a big pan of veggies with spices, then use them as a basis for Mexican fajitas, Moroccan couscous or Indian curries. We also made tomato & basil pasta dishes, red lentil dals and French bread pizzas. 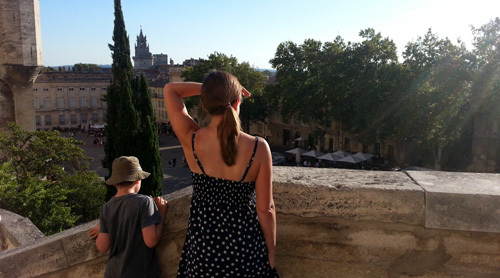 and visiting nearby towns and cities, including the historical and vibrant Avignon. 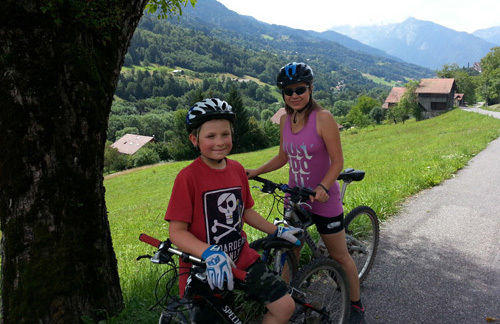 Biking was a big part of our vacation this year. 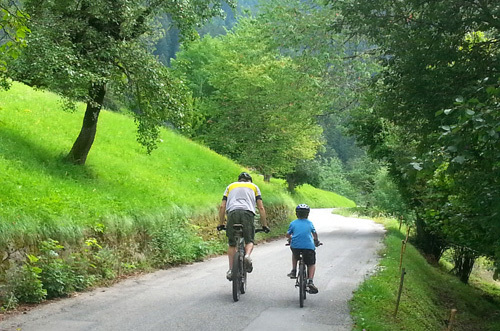 We took our own bikes (strapped to the top of the car) and enjoyed exploring Goult and the surrounding countryside. 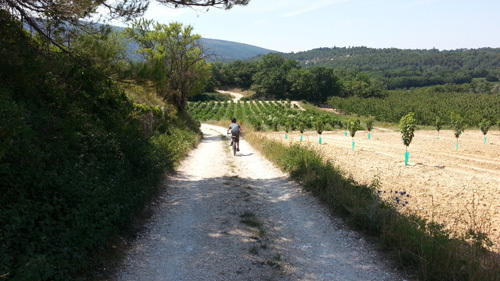 We cycled past vineyards, olive groves, lavender fields and through cedar forests. It was such a feast for the senses! 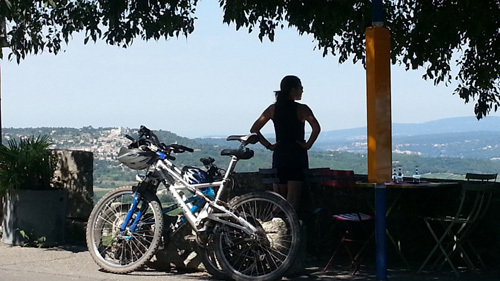 Often, in the mornings, we would cycle to neighbouring villages, which tended to be perched on top of a hill. 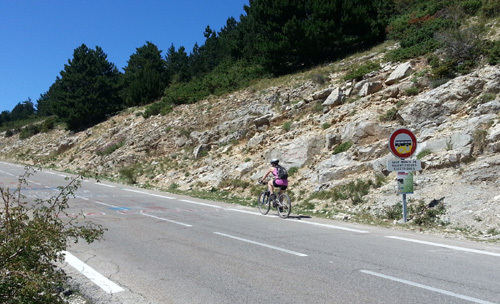 I also took on my own challenge this year and decided to ride a section of Mont Ventoux. I hadn’t done any hill training on my bike this year, so I knew I wouldn’t be in shape to ‘conquer’ Ventoux, but I thought I’d at least attempt the last 6.5km section. 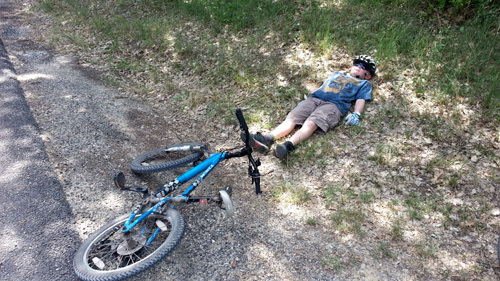 … and set off on my Marin full suspension mountain bike (much to the amusement of the ‘roadies’) …. … praying that my 13 year old gaffer taped shoes would hold out! 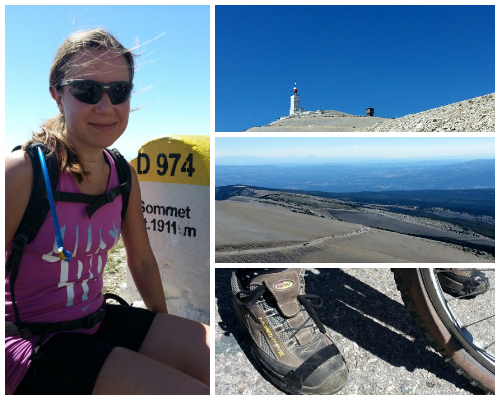 The final 2km seemed more like 20km, but I eventually made it to the summit. It was a fantastic experience. I’m so glad that I did it! The two weeks flew by and it was soon time to pack up and head back home, feeling refreshed, revived and fitter than when we’d arrived! Do you choose to cook on vacations? If so, what are your favourite dishes to make? Do you have any tips for quick and easy meals? 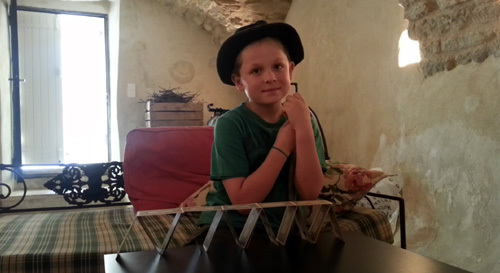 We’re back from our summer vacation in Provence, France. We had the most amazing time! 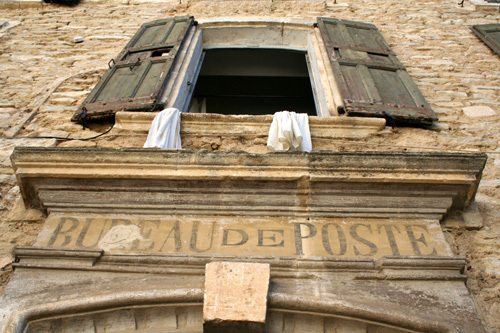 We rented an apartment in the chateau at St Laurent du Verdon. The chateau and its grounds were truly beautiful. Our apartment was on the middle floor, far left. Here’s a shot of the interior. We had the most amazing bike rides from the chateau, passing lavender fields and pine forests, stopping off at little villages for a nice cold juice. 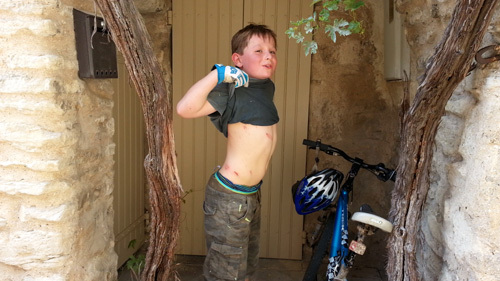 Biking was a great way to experience Provence and immerse yourself in the heavenly scent of Provencal lavender. Only a short distance from St Laurent was the Gorge du Verdon. We had lots of fun kayaking in the gorge. 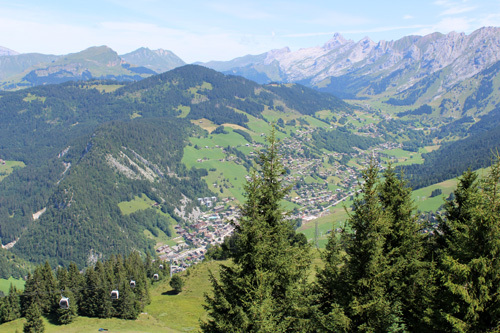 The scenery in this region was spectacular. 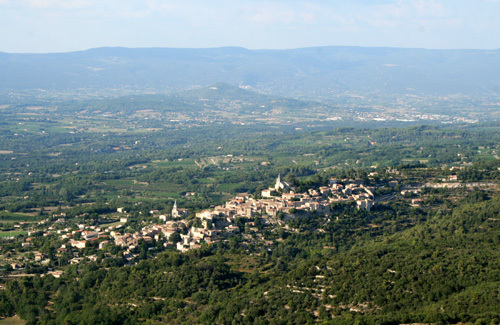 Probably the most beautiful village that we came across was Moustiers Sainte-Marie. 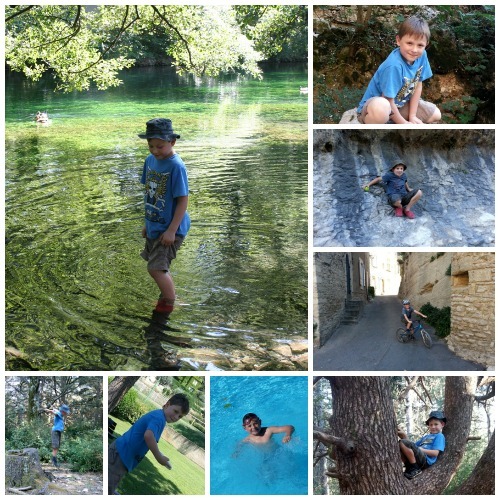 Lac St Croix was only a few minutes away, and was a great place for bathing and picnicking. Me: “Une pizza vegetarienne s’il vous plait”. The funniest episode was at a snack bar at Lac St Croix. The menu stated that they offered tomato and mozzarella paninis. M thought his luck was in. However, when he ordered, he was told that all the tomato and mozzarella paninis had been prepared and… yes, you’ve guessed it… they all had ham in them!! The lady kindly offered to prepare him a fresh panini without ham. Her colleague, though, was totally baffled. I heard her asking “Mais, pourquoi pas de jambon? Pourquoi pas?”. To end her confusion, I piped up with “Nous sommes vegetariens”. Her response… “Oh L’HORREUR!” M and I cracked up! I’ll never forget the look of distaste on her face. Hilarious! Anyway, I was very happy to cook our meals and it saved us from being bankrupt by the weakness of the pound against the Euro. The rental apartment had a fully stocked kitchen, and it was a joy to cook in. 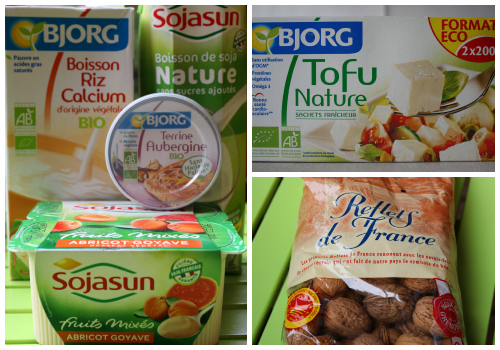 We bought lots of fresh veggies and fruit from the markets and found some great items in the local supermarkets, including lots of non-GM soya products (France has a great soya producer called ‘Sojasun’ which produces soya yoghurts, milks, etc). It was so simple to make. I sauted some chopped onion and garlic, then added a jar of tomato sauce (passata) along with some diced sweet potato, chopped red pepper, grated carrot, some sweetcorn, canned brown lentils and kidney beans. I added some vegetable bouillon and paprika for flavouring, and a small amount of chilli powder. It only took about 15 minutes to cook through, and we served it with toasted wheat tortillas, cut into segments. Delicious!